There are so many subjects that catch our eye. 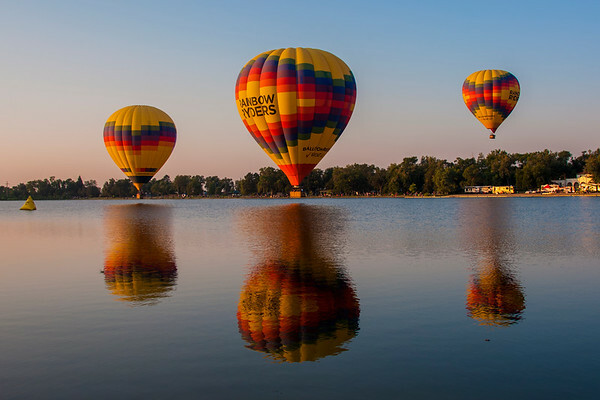 Come explore some our favorite photographs. 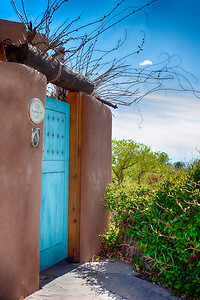 A beautiful entry way that I found while visiting Santa Fe, NM recently. 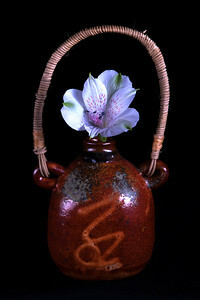 The color of Santa Fe is a reminder of the tribal arts that are very much alive in the city. 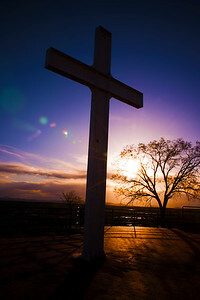 During our trip to Santa Fe we thought it would be nice to take in a New Mexico sunset. This shot was from a spectacular location overlooking the city. It's definitely a must see if you go to Santa Fe. 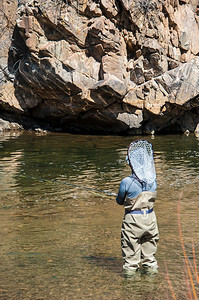 A fisherman looking for that big one at Waterton Canyon just SW of Denver, Colorado. 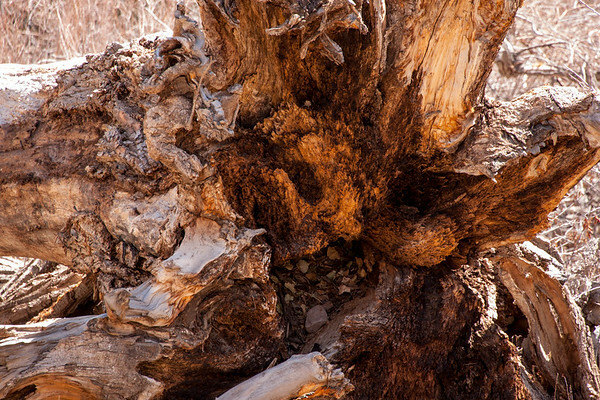 A fallen tree found during a hike at Waterton Canyon which is just southwest of Denver, Colorado. Compilation in C - This image is a compilation of various images I've taken over the years. 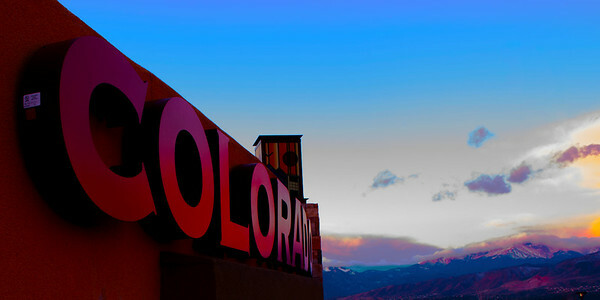 The reason I refer to it as "Compilation in C" is because the sunrise & tracks are in Colorado. 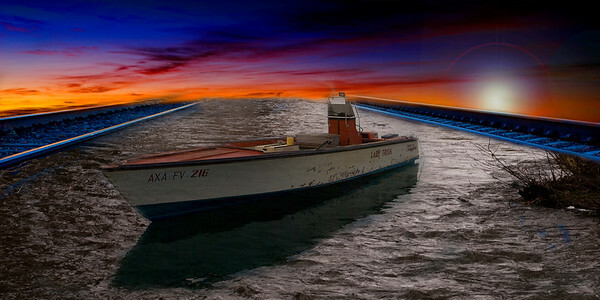 The image of the boat was taken in the Caribbean. Finally, the photo of the stream was taken near Cork Ireland. Add a bit of lens flare and there you have it. Hope you enjoy it as much as I did putting it together. They say "Cherish the moments that take your breath away." 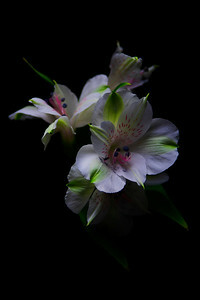 These flowers were delivered to our home just after cancer reared its ugly head. Life is incredibly delicate as this touching memory reminds us every time we look at it. 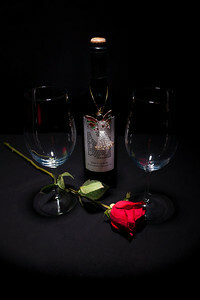 Thank you Bobby and Ashly for being a beautiful part of our lives. In honor of Mom's 80th Birthday! You are so very loved. 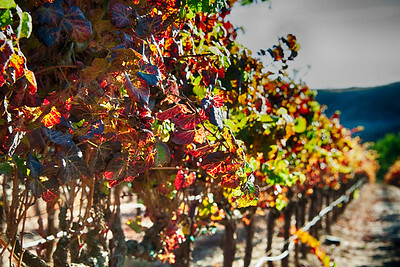 These grape vines are from the Cline Cellars located in the Sonoma Valley of California. This was taken just after the fire of 2017 and their final grape harvest. They mentioned that it will be interesting to see if the taste of smoke evolves in the Napa Valley wines of 2017. 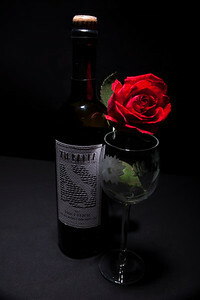 This was an experiment as part of a photography challenge to only take one shot. The sign is no longer there but the memory remains. Pikes Peak backdrop at 14,110. 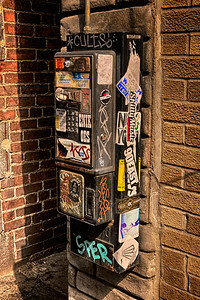 During a stroll through the Old Northend of Boston came across this out of commission pay phone that was covered with graffiti. 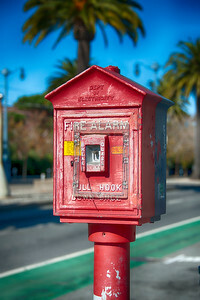 This is a fire alarm box located near Fisherman's Wharf and the Ferry in San Francisco, California. 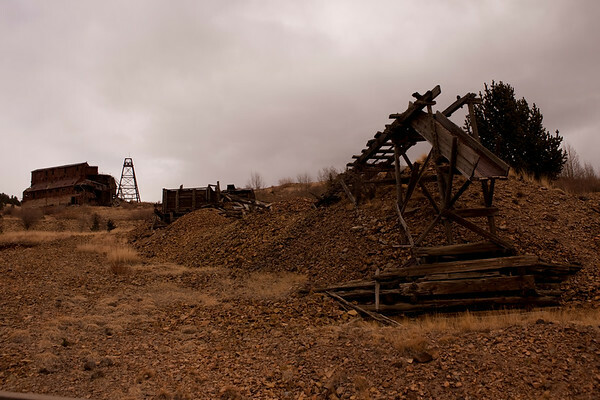 Likely a result of the devastating fire and earthquake that occurred in 1906. 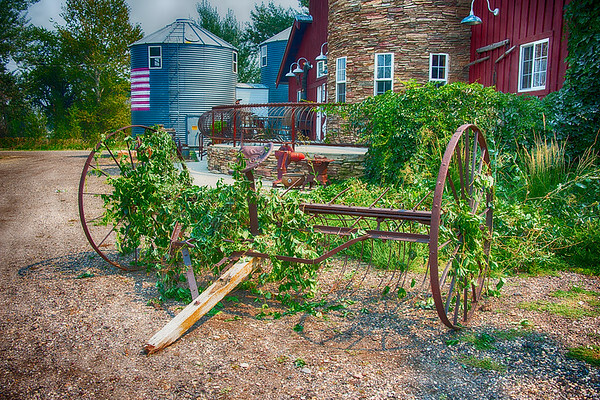 An old farm rake adorning the front of a farmhouse located in Hudson, Colorado. 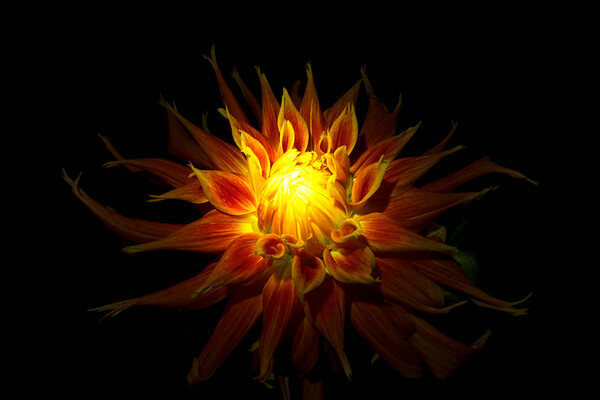 Captured in our very own backyard in all of her glory with a bit of light painting after dark. It is early October in Colorado and she has bloomed to just about dinner plate size. Absolutely stunning. 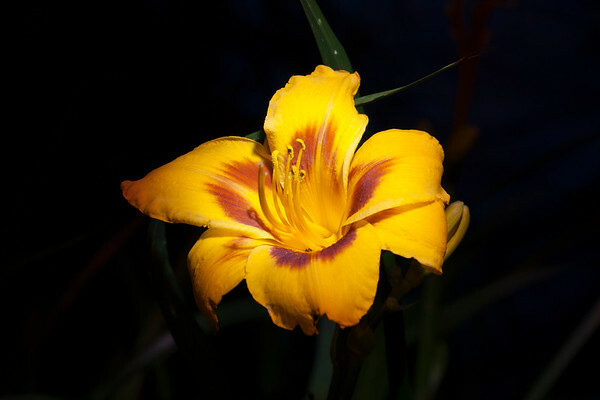 This brilliant lily was immerse with a unique lighting effect after dark. 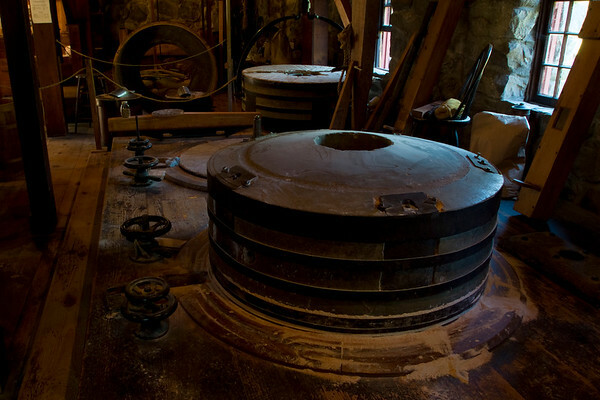 This bedstone is located inside of the Wayside Inn Grist Mill near Sudbury, MA. The mill is still in operation.